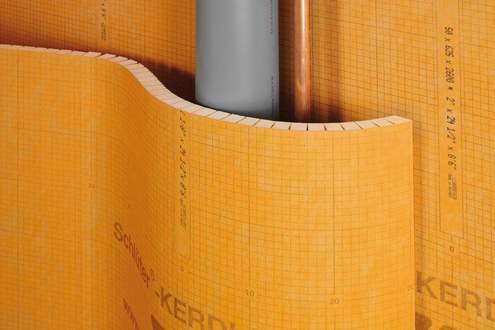 The grooved version of the Schlüter-KERDI-BOARD panel is designed for creating rounded and curved structures and surfaces. 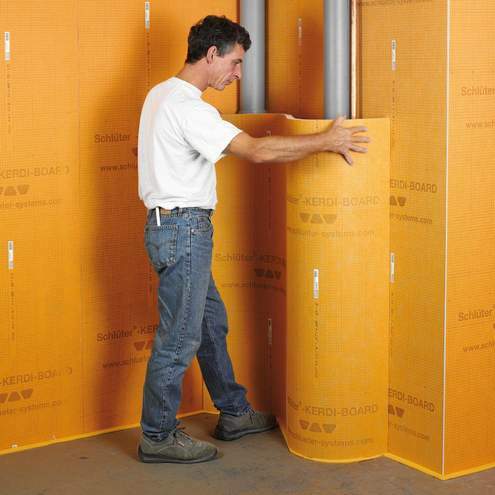 Self supporting partition walls, e.g. for multiple shower cubicles. Panelling of support structures and columns. 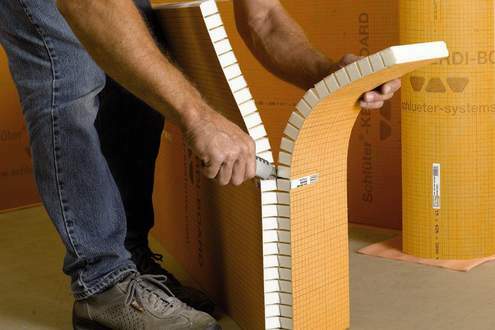 Panelling of pipes and installation ducts. 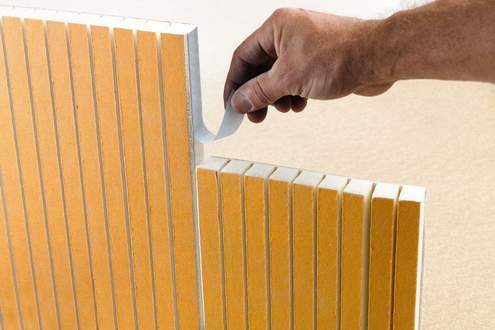 If the grooved surface points toward the inside, it is recommended to fill the grooves with tile adhesive prior to installation. 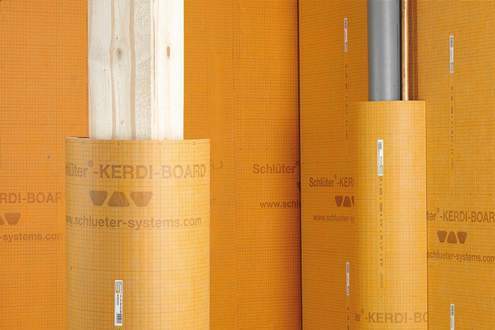 If a larger expanse of grooved Schlüter-KERDI-BOARD panels is required, several panels can be attached with double sided adhesive tape.